Naushad Forbes received his Bachelors, Masters and PhD Degrees from Stanford University in Industrial Engineering and History. Naushad Forbes is Director of Forbes Marshall Limited, India's leading Steam Engineering & Control Instrumentation Company, where he leads the steam engineering business. He was a Consulting Professor in the Management Science & Engineering program at Stanford University from 1987 to 2004. His publications include a book authored with David Wield, ‘From Followers to Leaders: Managing Technology in Newly Industrialising Countries’. Naushad is on the board of Kirloskar Engines India Ltd, Godrej Industries Limited, Tata Autocomp Systems Limited, National Institute of Industrial Engineering, Ruby Hall Hospital, Jump Associates LLC, California and IIT-Bombay. 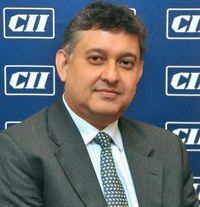 He was also the Chairman of the CII (Western Region) in 2009-10. Dr S S Mantha, an eminent academician and an able administrator, is the Chairman of the All India Council for Technical Education (AICTE). Having joined the organisation in March 2009 as its Vice-Chairman, he has been at the forefront of bringing in some radical changes for transparency and accountability in its administration. He holds a Bachelors degree in Mechanical Engineering from the M S University, Baroda, and a Masters in Mechanical Engineering from VJTI, Mumbai. From small beginnings, he progressed to be the Professor and Head, Department of Mechanical Engineering, a position he held for 6 years at VJTI. Subsequently, he was appointed the Pro Vice Chancellor at SNDT Women’s University by the Government of Maharashtra, where he served for two years with distinction. He specialises in Robotics, which he taught for more than 15 years. In all, he has a rich teaching experience of more than 25 years, and has also delivered courses on Control Theory and Artificial Intelligence. He was instrumental in setting up a state of the art Robotics / CAD / CAM laboratory at VJTI, providing consultancy in the area of Industrial Automation to the industries in Mumbai and Pune. His research interest in the area has also seen him provide expertise to DRDO and BARC projects. A PhD in Combustion Modelling from University of Mumbai, he also undertook several administrative assignments, including Dean, Faculty of Technology, for the University of Mumbai. In recognition of his achievements, Government of Maharashtra conferred the Best Teacher Award of the State in 2002. He implemented the first e-governance project, automating the workflows for the department of Higher and Technical Education, Government of Maharashtra in 1995. Further, he provided the IT expertise for IT initiatives of several departments of Government of Maharashtra. The Citizen Facilitation Centre, Kalyan Dombivli Municipal Corporation, an e-governance initiative that won many National and International awards, was also completed with his expertise amongst others. He is also the recipient of Infocom CMAI National Telecom Award for 2010 and the HR Nexus – the HR & Network, Leadership Award in the field of Education, 2010. 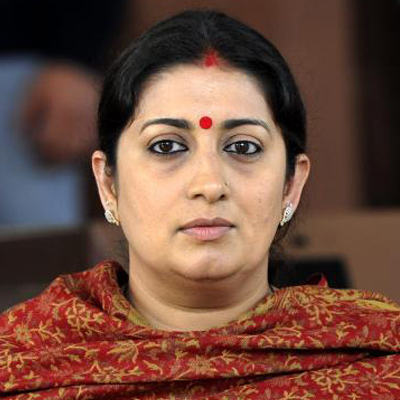 The e-governance project implemented in AICTE has also won the Silver Edge Award instituted by United Business Media and Information Week and the Good Governance National Technology Award 2010 instituted by the Good Governance Magazine. He is also a recipient of the 5th National Telecom Award 2011 for Excellence in Education through e-governance instituted by CMAI and Star News. Past Chairman of the CII – Southern Region, Mr Swaminathan has put in over 41 years of service in PSG Institutions. He is actively involved in the development of education and industry by serving as Director in several companies and in the governing council of several educational institutions. He is the Director of Shanthi Gears Ltd, Chandra Textiles Ltd, Pricol Ltd, Rajalakshmi Machine Works Ltd, Bull Machines Pvt Ltd & Magna Electrocast Pvt Ltd; the Past National President of the Indian Machine Tool Manufacturers’ Association & The Institute of Indian Foundrymen. He is the Past President of the Coimbatore Productivity Council, Coimbatore Management Association, Tamil Nadu Electricity Consumers Association, Small Industries Testing & Research Institute (Si’Tarc), The Southern India Engineering Manufacturers Association, Coimbatore Industrial Infrastructure Association (Coindia), Rotary Club of Coimbatore East, Association of Jute Entrepreneurs of Southern India (AJESI), Solar Energy Society of India (SESI) - Coimbatore Chapter, Tamil Nadu Private Professional Colleges Assn–Health Sciences & The Coimbatore Club and the Past Vice President of the Indian Chamber of Commerce and Industry, Coimbatore. Mr Toby Linden is Lead Education Specialist at the World Bank and works in the education group that provides policy reform in developing countries. 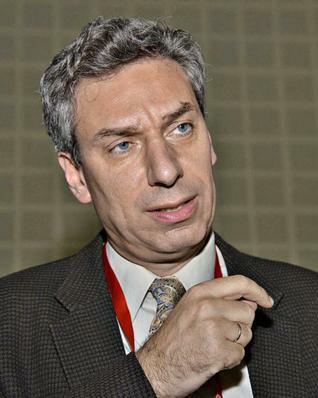 Prior to joining the World Bank in 1998, Mr. Linden was a policy analyst and program administrator for the Department of Education and Skills in the United Kingdom. He also held a position in the United Kingdom as Chief of Staff for the U.S. equivalent of the Deputy Education Secretary. Professor Furqan Qamar was the Vice-Chancellor of the University of Rajasthan at Jaipur before assuming charge as the first Vice-Chancellor of the Central University of Himachal Pradesh in January 2010. Dr Qamar has also served as Adviser (Education) in Planning Commission, Government of India. Dr Qamar did his PhD (1989) from the University of Lucknow on ‘Financial Management in Universities in India’ and completed his Masters (1981) from the Canning College of University of Lucknow in first division and first position in the university. He obtained his Bachelors degree (1979) from the Lucknow Christian Degree College of the University of Lucknow in first division and first position in the college and fourth position in the University. Born in 1960 in village Bahariabad of district Ghazipur (Uttar Pradesh), he had his early education in the village primary school and the rest of his schooling in government-aided schools and higher studies in public institutions at Lucknow. Beginning his career as a Teaching Assistant in the Lucknow Christian Degree College (1981-1982) and later as Junior Research Fellow (1982-84) at the University of Lucknow, Dr Qamar was appointed as Lecturer in Commerce in the Department of Economics of Jamia Milia Islamia in 1984, where he rose to the position of Professor & Founder Director of the Centre for Management Studies. Professor Qamar did an Advanced Management Programme (AMP 2005) at the Clare College, Cambridge and held the position of Professor in the Abu Dhabi campus of the Southeaster University and also at Al Bayan University during 1995-98. He has delivered lectures at National College of Science & Technology (now Al Dhoffar University) at Salala in Oman and also at the University of Applied Sciences, Erfurt, Germany. 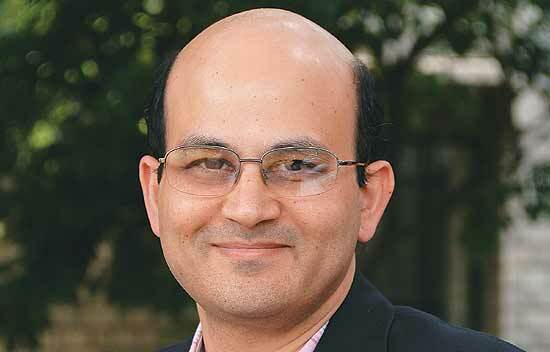 With keen research interest in public policy in higher education, Professor Qamar has been actively engaged in research and has published in journals of repute on such themes as educational planning and administration, financing of education, cost savings and resource use efficiency in education and quality and excellence in higher education. Dr PV Ramana is Founder and Chairman of the ITM Group of Institutes in Mumbai, Chennai, Bangalore, Warrangal, Hyderabad, Vizag and Nagpur and Founder & Chancellor of ITM University since inception, in 2003. After obtaining BE-Honours (Electrical) in 1961, he studied and worked in the US from 1970-77, earning a Prof Engineer qualification in Mechanical Engineering and MBA in Accounts / Finance from Washington State University. 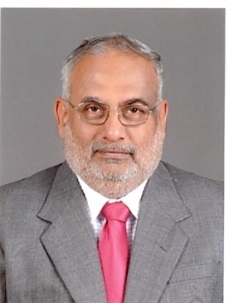 A specialist in Strategic Management and Business Management, he returned to India in 1978 and served as Managing Director of TTK Group, Chennai, till 1984. He was Chief Executive at the International Division of Grasim Industries till mid 1990, when he quit to serve the cause of management education. Dr Ramana founded ITM (Institute for Technology & Management) in 1991. He was elected member of the executive committee of BMA in 1994-95 and has served as Chairman of the MDP committee creating a new track in successful programmes which have brought name and record surpluses to BMA coffers. He became Vice-President of BMA in 1997-98 and President in 1998-99. A recipient of the prestigious Life Time Achievement Award from World HR Congress, Boston, USA, for Outstanding Service to Management Education, Dr Ramana has also received a Life Time Achievement Award from Dr PN Singh Foundation, Mumbai, which in 2003, instituted the Prof PV Ramana Award for Corporate Governance. DNA & Stars of the Industry Group conferred the Life Time Achievement Award on Dr Ramana in 2009 in recognition of his leadership development abilities, innovation and industry interface. Among the international conferences which Dr Ramana has addressed as a Keynote Speaker are, Higher Education West, in 2005 in Los Angeles, US, Future of Management Education in 2006 in San Francisco, US and the MIT Symposium: Higher Education in a Borderless World, in 2006. Queen Margaret University, Edinburgh, conferred honorary doctorate on him in 2008 for his excellent academic contribution. In 2011 he entered into a Memorandum of Understanding with Gujarat government for setting up ITM Vocational University. Dr Prahlada was formerly a Distinguished Scientist and Chief Controller, Research & Development at Defence Research and Development Organisation, Ministry of Defence, Government of India at New Delhi. He got his degree in Mechanical Engineering from Bangalore University, Post-Graduation in Aeronautics from Indian Institute of Science, Bangalore and Ph.D. from Jawaharlal Nehru Technical University (JNTU), Hyderabad. Since 1971 he has served in various ISRO and DRDO establishments. He has worked in the position of Project Director for the mobile surface-to-air area defence missile system, Akash, Director of the biggest DRDO laboratory, DRDL, Programme Director for the Joint Venture Missile Project-(Indo-Russian) BrahMos and Chief Controller Research & Development at DRDO Headquarters. Dr Prahlada is a Fellow of Andhra Pradesh Academy of Sciences, Indian National Academy of Engineering, Astronautical Society of India, Institution of Electronics and Telecommunication Engineers and a Managing Trustee of Trust for Advancement of Aerodynamics of India. 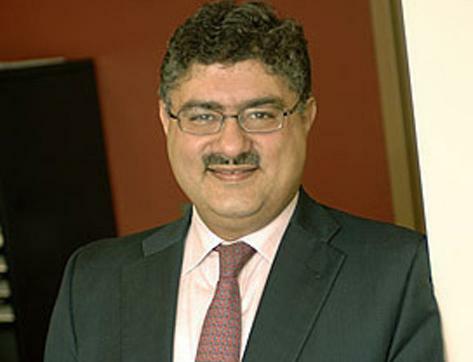 Prof Ashish Nanda is Director of Indian Institute of Management, Ahmedabad. In addition to his administrative responsibilities, Prof Nanda teaches in the Executive Education, PGP, and PGPX programs at the institute. Before joining IIMA, Prof Nanda was Robert Braucher Professor of Practice at Harvard Law School, where he taught in the JD program and was faculty director of Executive Education, faculty director of Case Development Initiative, and research director at Program on the Legal Profession. Prof Nanda was at Harvard Law School for seven years. Before that, he was a Harvard Business School faculty member for 13 years, where he taught in MBA, DBA, and Executive Education courses. He continues to be affiliated with Harvard University as Robert Braucher Professor of Practice (on leave) at Harvard Law School and Harvard Business School Executive Education Fellow. Prof Rishikesha T. Krishnan is Director and Professor of Strategic Management at the Indian Institute of Management Indore, India. From 1996 to 2013, Prof Krishnan was a member of the faculty at the Indian Institute of Management, Bangalore (IIMB), India. 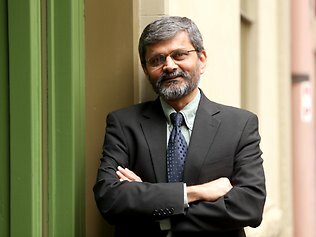 Prof Krishnan was a Visiting Scholar at the Center for the Advanced Study of India, University of Pennsylvania (Fall 2008), and at the Indian School of Business (ISB), Hyderabad (2011-12). He held the Jamuna Raghavan Chair in Entrepreneurship at IIMB from 2007-10. Prof Krishnan’s main areas of interest are strategy and innovation. He was listed among the Thinkers50 India most influential thinkers in management from India (2013) and jointly received the special Thinkers50 India Innovation award (2013). 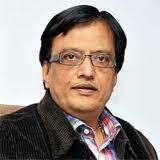 Earlier, he received the Dewang Mehta Award for Best Teacher in Strategic Management in 2010. Prof Krishnan has served on a number of committees set up by the Government of India, Nasscom and CII related to innovation in India. He is on the boards of Sundaram Asset Management Company Ltd., and Madhya Pradesh Pashchim Kshetra Vidyut Vitaran Company Ltd. He is a trustee of the Foundation for Excellence India Trust (www.ffe.org), an organization committed to helping economically underprivileged and academically talented students complete their higher education through one of India’s largest scholarship programmes. Dr Uday B. Desai received the B. Tech. degree from Indian Institute of Technology, Kanpur, India, in 1974, the M.S. degree from the State University of New York, Buffalo, in 1976, and the Ph.D. degree from The Johns Hopkins University, Baltimore, U.S.A., in 1979, all in Electrical Engineering. Since June 2009 he is the Director of IIT Hyderabad. From 1979 to 1984 he was an Assistant Professor in the School of Electrical Engineering and Computer Science Department at Washington State University, U.S.A., and an Associate Professor at the same place from 1984 to 1987. From 1987 to May 2009 he was a Professor in the Electrical Engineering Department at the Indian Institute of Technology - Bombay. He was Dean of Students at IIT-Bombay from Aug 2000 to July 2002. He has held Visiting Associate Professor's position at Arizona State University, Purdue University, and Stanford University. He was a visiting Professor at EPFL, Lausanne during the summer of 2002. From July 2002 to June 2004 he was the Director of HP-IITM R and D Lab. at IIT-Madras. His research interest is in Cyber physical systems, Internet of things, digital fabrication, wireless communication, cognitive radio, wireless sensor networks and statistical signal processing. Dr Desai is a Fellow of INSA (Indian National Science Academy), Fellow of Indian National Academy of Engineering (INAE). He is the recipient of J C Bose Fellowship. He is on the Governing Council of IIIT Hyderabad and RGUKT. He is on the board of ABV Indian Institute of Information Technology and Management, Gwalior. He is on the Society of IIM Kozhikode. He the Mentor Director for IIIT Chittoor, Sri City. He was the Chair for IEEE Bombay Section 2006-2008. He was also on the Visitation Panel for University of Ghana. 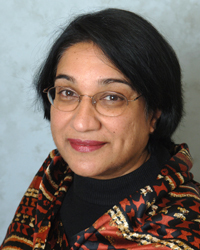 Dr. Gita Rajan is a Senior Research Fellow at the Center for Faith and Public Life and Professor of English at Fairfield University, with a strong research and publication record in Gender, Globalization & Sustainable Development; and South Asian Women’s Literatures & Visual Cultures. Dr. Rajan was an Andrew Mellon Fellow at University of Pennsylvania, a Paul Mellon Fellow at the Center for British Art at Yale University, and a Scholar in Residence at New York University. She was the Peace Fund Endowed Visiting Professor of Women's Studies at Hamilton College. Her recent book, New Cosmopolitanisms: South Asians in the US was published by Stanford University Press. Dr. Rajan has also served as an invited Juror for the National Endowment for the Humanities for the national Faculty Research Fellowship Competition on South Asia. Dr. Rajan is Project Director of Impact India 2021: Empowering girls and Women in Society at Fairfield University, and has forged partnerships with 9 foremost Indian public and private universities and 12 community partners across the nation, including UN Women and UNFPA. The successful Pilot Study was presented in Washington DC in 2012, and Dr. Rajan was interviewed on National Public Radio after the event. (http://www.fairfield.edu/cfpl). Dr. Rajan serves on the Steering Committee of the Connecticut Council of Vital Voices Global Partnership. She was invited by the Bill and Melinda Gates Foundation and Vital Voices to conduct a workshop for women entrepreneurs from eight African nations on creating sustainable networks. She also conducted a workshop for low-income women in Chennai, India to develop community-based distribution channels for prepared foods. The idea of imagining sustainable lives for women is not far from Dr. Rajan’s research and personal interests. At Fairfield University, Dr. Rajan teaches the Capstone Seminar for the Women’s & Gender Studies Program, and has mentored students who founded the first, functioning University NGO, Sustainable Equity for Women. Managing Director, Wiley India Pvt. 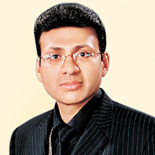 Ltd.
Mr Vikas Gupta, Managing Director, Wiley India, has extensive experience in the publishing industry. Mr Gupta has done his Executive MBA from Indian School of Business, Hyderabad, in collaboration with The Wharton Business School and Kellogg School of Management. He also holds a post graduate diploma in Printing and Publishing Studies from London College of Printing and a Bachelor's degree in Electronics Engineering. Mr Gupta has led multiple business ventures across diverse industries, over the years, including Publishing, Medical Electronics and Information Technology. In the year 1998, one of his ventures was featured as one of the 'Sizzling IT Companies in India' by a leading computer trade journal, Dataquest. During the same year he was nominated for the prestigious 'Sista's World Com Young Business Achiever's Award' for new the breed of entrepreneurs who had achieved remarkable success in their respective fields. Mr Gupta is regularly invited to address several prestigious forums and events organized by leading industry bodies, including FICCI (Federation of Indian Chambers of Commerce), CII (Confederation of Indian Industry), NBT (National Book Trust, India) as well as leading Corporates and Universities, globally. With his publications on IT topics, Vikas Gupta has been attempting to make IT education accessible to masses. As an author, his books in IT domain have sold more than three million copies worldwide. Presently, Mr Gupta heads Wiley’s operations in the Indian sub-continent. Wiley India Pvt. Ltd. is the Indian subsidiary of John Wiley & Sons, Inc. - a global provider of knowledge and knowledge-enabled solutions for more than 200 years. Mr Gupta stresses on creating innovative solutions in technology for imparting skill- based education leading to job-readiness and career enhancement. Towards this end, he has been driving Wiley India's initiatives to tie up with global universities and develop best-in-class, job role oriented, skill development courses in professional education domain. Globally recognized, industry-relevant courses, he believes, are instrumental in shaping the landscape of modern education and simultaneously addressing the skills-gap across industries.